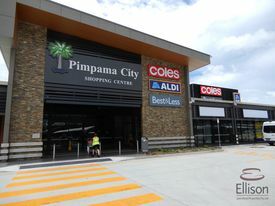 8 Commercial Real Estate & Properties in Pimpama are listed in 2 categories. We have 6 Retail ShopsLease and 2 Industrial Warehouses Lease . 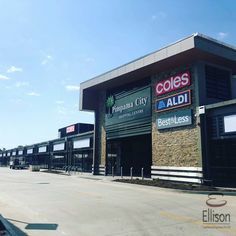 50 - 150 Sqm* Pimpama City Shopping Centre - Ready Now VERY COMPETITIVE RENTAL R..
140 Sqm* Retail Space In Pimpama City Shopping Centre - Ready Now VERY COMPETITIVE RENTAL R..
70 Sqm* Pimpama City Shopping Centre - Ready Now VERY COMPETITIVE RENTAL R..
Pimpama City Is Here And Ready For Business! 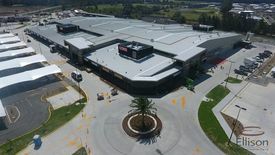 VERY COMPETITIVE RENTAL R..
Don\'t Miss Last Shops For Lease At New Pimpama City VERY COMPETITIVE RENTAL R..
300 SQM shed Extra hardstand available Fantastic truck access Easy access to M1 Motorway Available 1st October 2018 Get in just in time for the new Pimpama City Shopping Centre Launch $90/SQM + GST Outgoings included in rental except power and water All offers to be presented Approximate If Applicable. For more information please contact Tony Morena.